Although the financial sector closed positive on Tuesday, the corresponding Bullidex fell .62%, to close at 159. 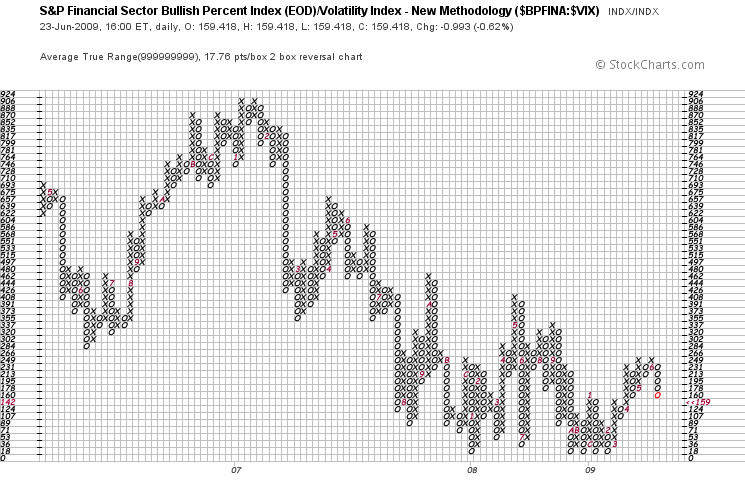 Higher prices mask the internals of the sector, which is decreasing in bullish breadth relative to volatility. This divergence suggests that the rally is false, and that shorting XLF or FAS is a good idea. The XLF remains in an uptrend above a slightly rising 20sma, but it is still forming O’s below a falling upper Bollinger. 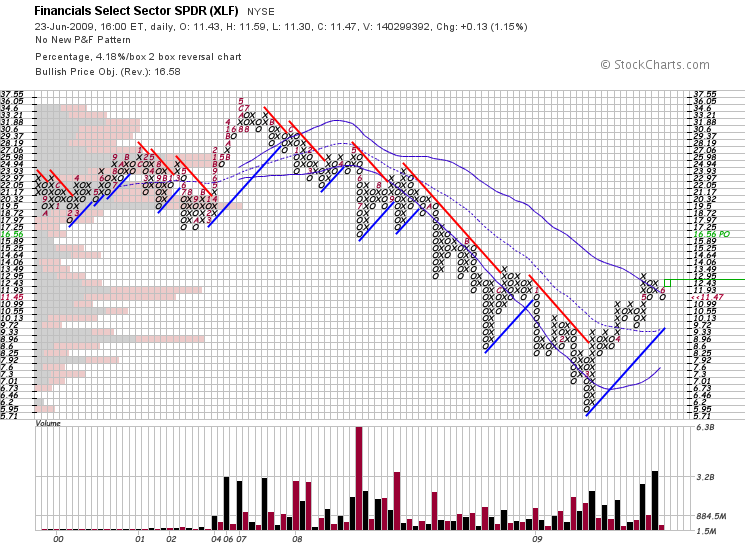 A deeper pullback may be in the works if support between 11.45 and 10.99 fails. If the banks go south, there will be sell offs in every sector as institutions rush for liquidity due to increased margin requirements. Better to stay defensive and wait for a sign of real stability.